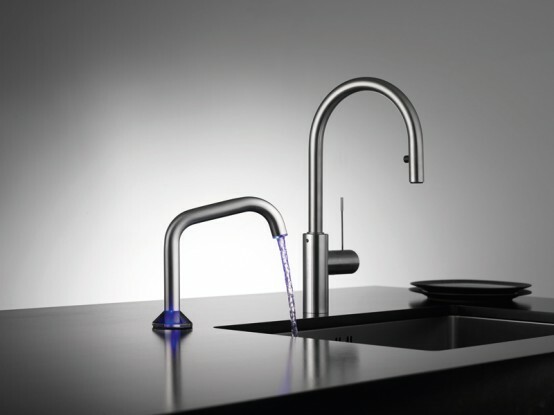 USO is a new semi-automatic faucet designed by KWC. It’s perfect solution for any kitchen or bathroom. 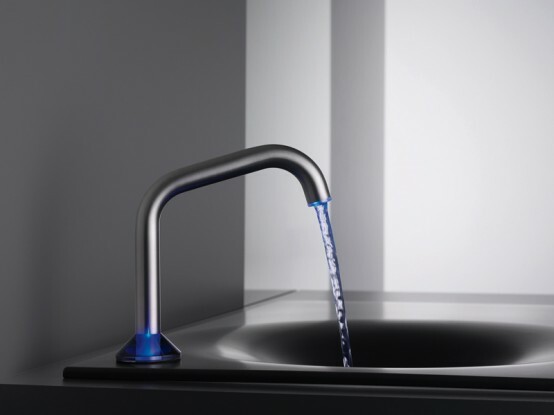 The faucet looks modern and made entirely of stainless stell. 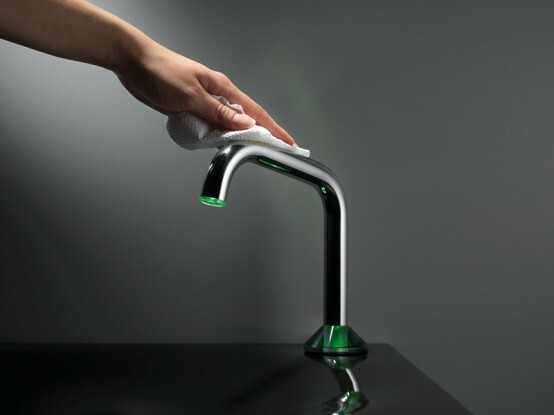 Besides, the faucet has a minimum-contact sensor that reacts to a quick touch of the sprout and displays the water temperature using colour coding. 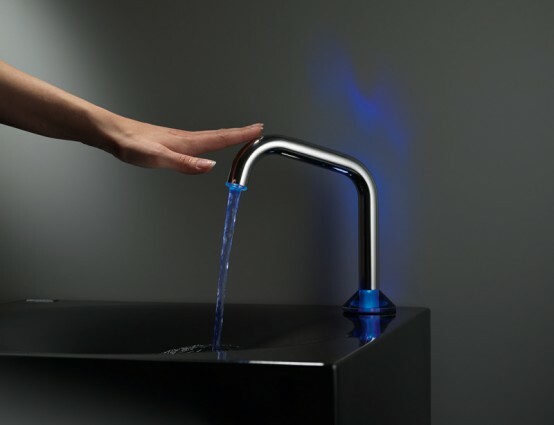 You can tap once to get cold (blue), twice for warm (orange), or three times for hot (red) water. After 10 seconds, the water turns off automatically. If you want to stop the water beforehand, just tap the spout one more time. 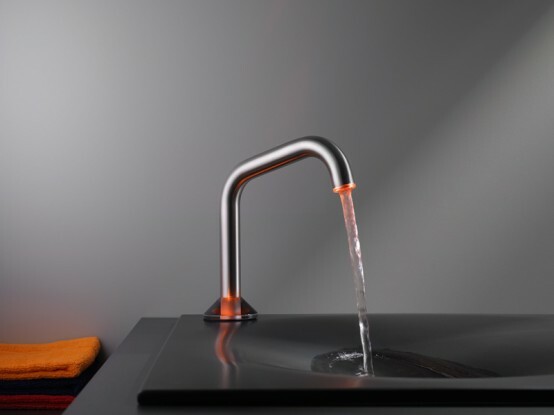 The faucet also has a cleaning mode. 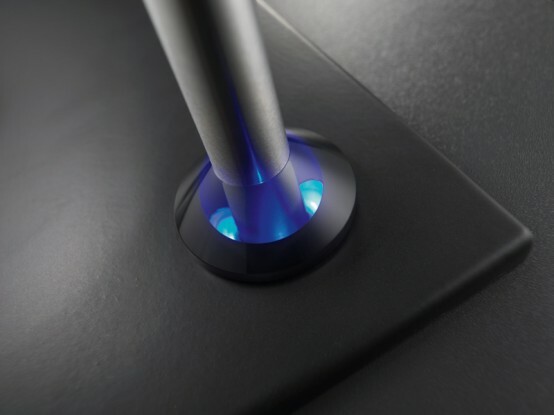 You need to touch the spout for 5 seconds to activate it for 45 seconds – with no need for any water to be flowing. To stop the cleaning early, just touch for 5 seconds again.